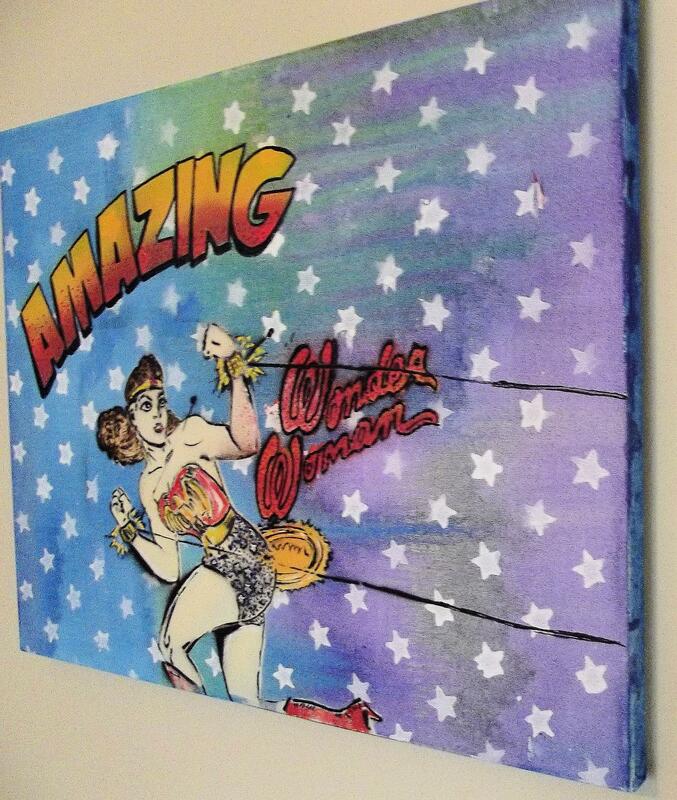 Classic Amazing Wonder Woman 18" x 14", she is fighting for your rights, in her satin tights. 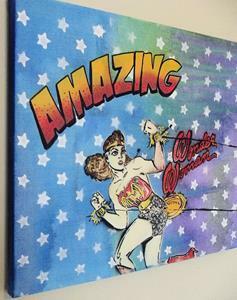 Original Graffiti Pop Art. 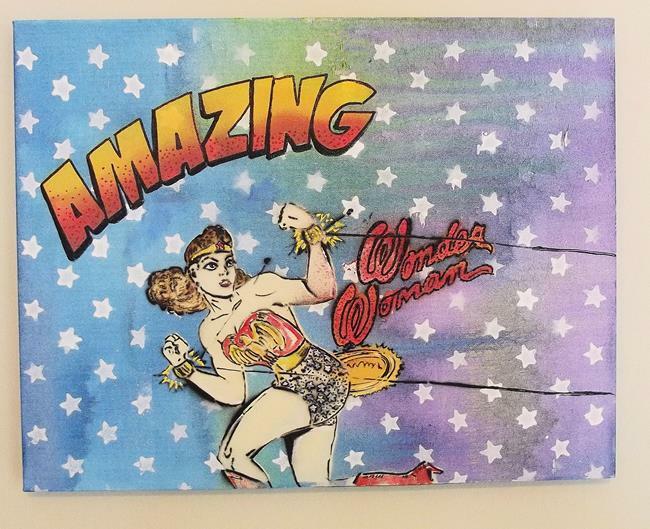 Get ready for a fun and fabulous pop of color on your wall, Each painting starts off by drawing a clear transparent film and then hand cut with an excato blade that takes around 20 hours, then added to an exciting, bright background with spray paint and detailed with small brush and acrylic to make a fun, and exciting, original piece of art. This original piece of art is mufti media using acrylic and spray paint. Unlike some mass produced cheap imports that don't come with the stretchers and cost $40 more, my art is ready to hang and one of a kind. The painting is signed on the back and comes with a COA (certificate of authenticity).